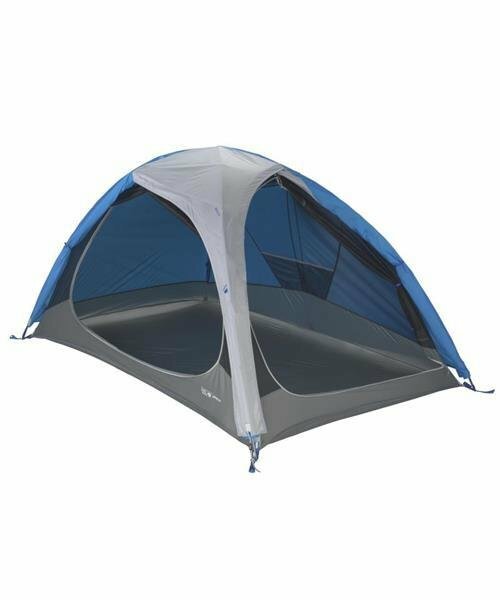 For backpackers and campers who appreciate extra square footage and open, airy architecture. The Optic offers a new twist on traditional tents with full-size doors on adjacent sides that zip away to create an open vista. Various tie-backs for the vestibule allow you to customize your view up to 180 degrees. With more space than a standard 3-person tent, the Optic 3.5 easily fits two of you plus whatever else you want to bring along.